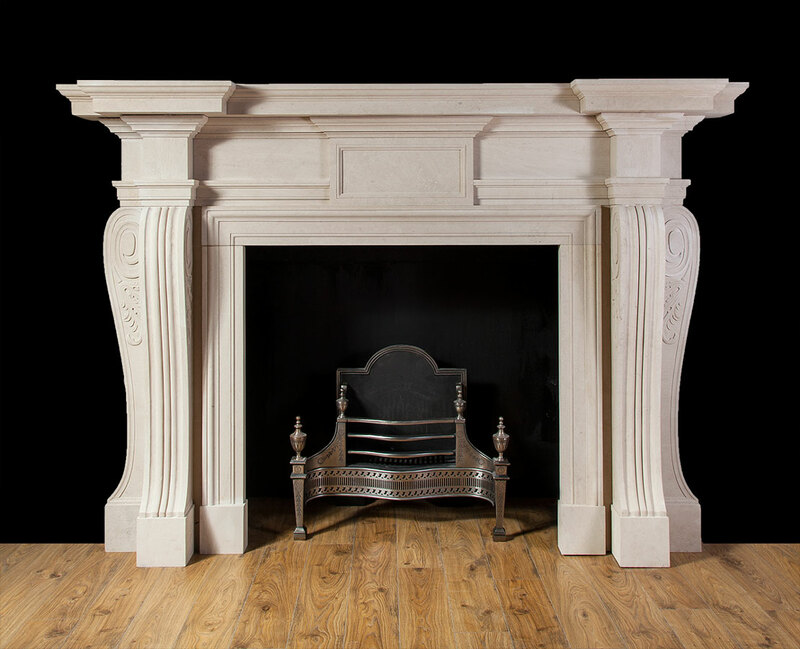 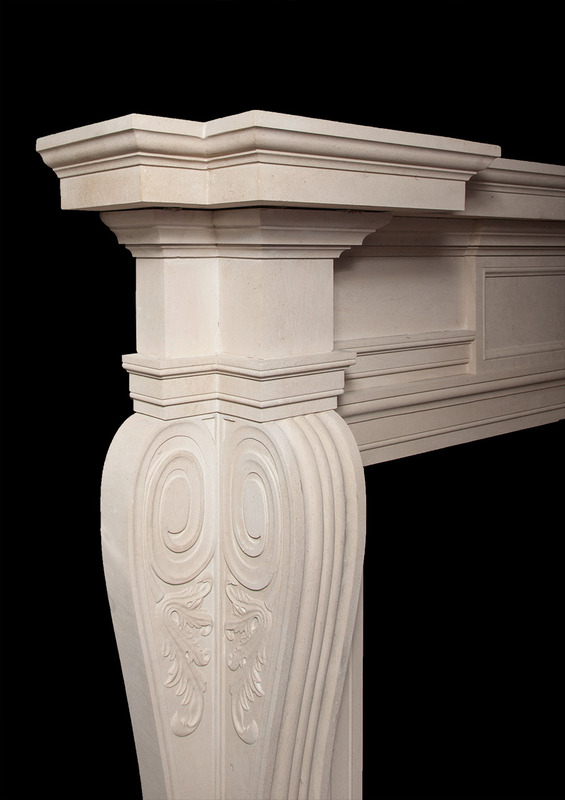 Hand carved from solid blocks of English Portland stone. 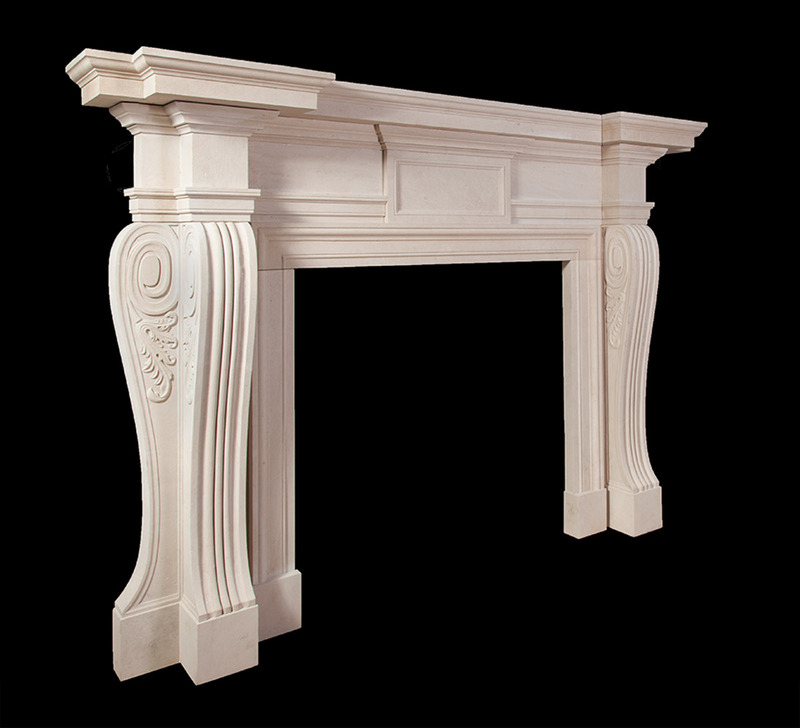 The front and side consoles have carved acanthus leaf decoration. 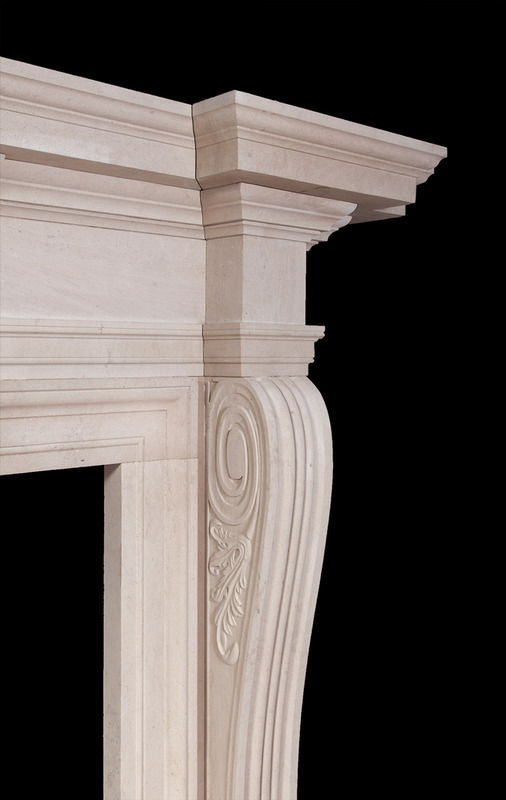 The wide framed in-grounds, architrave and cornice mouldings are all of solid mid 18th century Palladian design.